Chances are, you made some sort of fan film when you were a kid. I know I did. Who didn't want to pretend they were their pop culture hero and hit record? 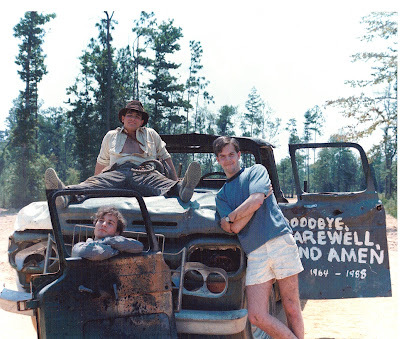 When filmmaker Eric Zala was a kid in the '80s, he and his friends filmed a near shot-for-shot remake of Raiders of the Lost Ark over seven summers. The film - dubbed, appropriately, Raiders of the Lost Ark: The Adaptation - achieved cult status and Zala and friends went on to screen it as adults, eventually raising the funds to film the only scene they didn't get to tackle in the '80s - the exploding plane scene. Raiders! 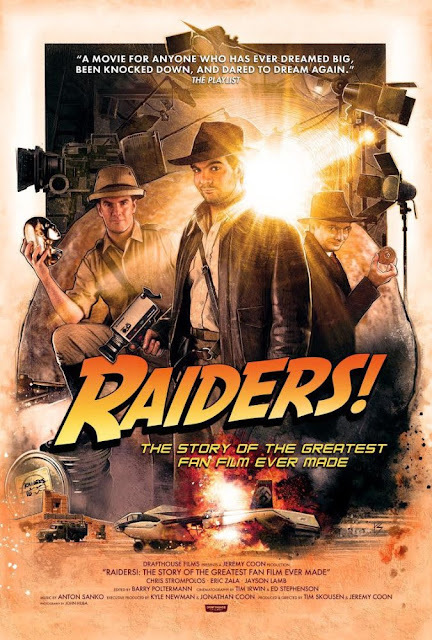 : The Story of the Greatest Fan Film Ever Made, a documentary about The Adaptation and the process of shooting the plane scene, features Zala and his friends and crew from childhood. Zala will be at Sun-Ray Cinema here in Jacksonville this Thursday, August 4th at 7:00 p.m. to screen both the documentary and The Adaptation. He'll also be providing introductions and answering audience questions before and after each film. We got the chance to interview Zala, and we talked about missing horses, old school fan films, and the next generation of fans. Robert Zerbe: If there’s one scene from your original sessions back in the ‘80s that you could redo, what would it be? RZ: How did John Rhys-Davies get involved in the documentary? EZ: A bit of a happy accident. He was actually in town, in Jeremy’s town that is, Salt Lake City, singing for the Mormon Tabernacle Choir in December 2013. And so Jeremy reached out to his manager to see if they could squeeze in an interview while he was in town. And apparently John Rhys-Davies said, “Come on up, dear boy.” It was the very first shot ever shot for the documentary. Raiders! Shot for Shot, Side by Side Comparison from Drafthouse Films on Vimeo. RZ: You’re screening The Adaptation and the documentary, have you met any fellow remaking enthusiasts? Do you have any good stories from the road? EZ: Oh yeah, we most certainly have met many people. Back in the day, pre-internet, as far as we knew, we were alone...it turns out, far from it. Once, in Hartford, Connecticut...[we] met a gentleman, 70 years old, who gave me a DVD. He had transferred...his own fan films that he made back in the 1930s. He did a Tarzan remake as a kid, black and white, silent. We knew that we were by far not the first fan film but I didn't know just how far back that went. So that was really cool. I’ve been struck by how many people we've met that...understand that impulse because they’ve done that, albeit on a smaller scale typically from what we’ve done. We've encountered so many folks who actually have done that and have expressed their love of the original film in a similar way in terms of be it cosplay or doing a remake of some sort. Although one thing that we've found unusual is that, while there’s a lot of fan films out there, a shot-for-shot remake is somewhat unusual for whatever reason. We’re kind of unusual birds in that way. RZ: What’s a recent film that’s like today’s Raiders, or what do you think you’d be remaking if you guys were kids today? EZ: I love movies, but there’s never been a movie before or since that...hits that high bar of wanting to spend several years of my life remaking it. I love The Godfather for example, but [I have] no desire to remake it then or now. Maybe Lord of the Rings? That...certainly was a wonderful sort of universe to live in. But I don’t know, I mean, the reason why Raiders appealed [to me] say, over Star Wars is because it was, though a period piece, our world, somewhat, if I can say this, grounded in reality, relatively speaking. And of course today, it’s not the unsupervised childhoods of the ‘80s anymore. We’re in the age of helicopter parenting, something I’m guilty of myself. For that reason, I don’t know if our film could be made in the same way today. But I hope so in some way. On the other hand, the technology is a lot more readily accessible. RZ: What's next? Has there ever been any thought about redoing Temple of Doom or any of the other Indy flicks or is that all done? EZ: No, that’s all done. I mean the desire to remake was sprung out of an 11 and 12 year olds' imaginations. And while in retrospect it was a valuable learning experience...original films are kind of where our hearts are at. There’s a couple projects that we’ve got in the works that we’re developing. But no Temple of Doom: The Adaptation at least, not from us. Maybe someone else will pick up the torch. RZ: Of course...maybe you’re inspiring some kids even now, through getting the films out. EZ: That’d be cool. It’ll be challenging for someone to get an elephant, but I bet it could be done.